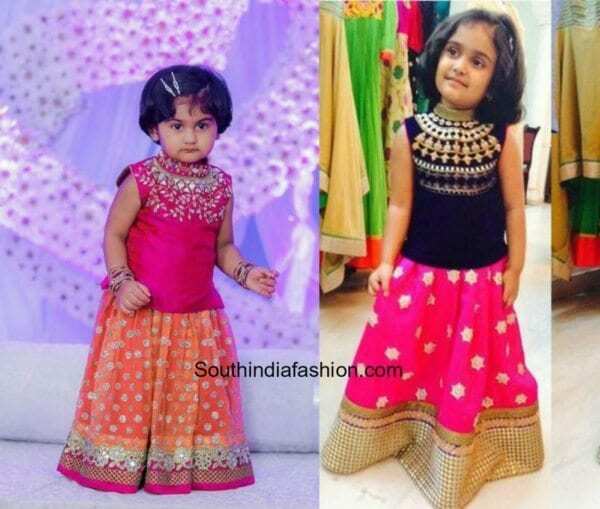 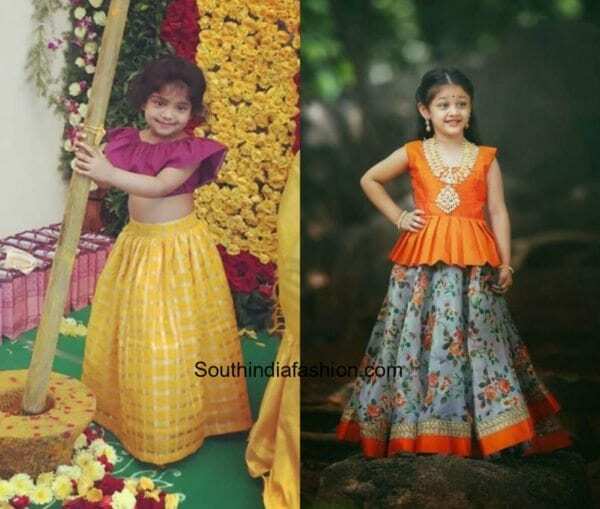 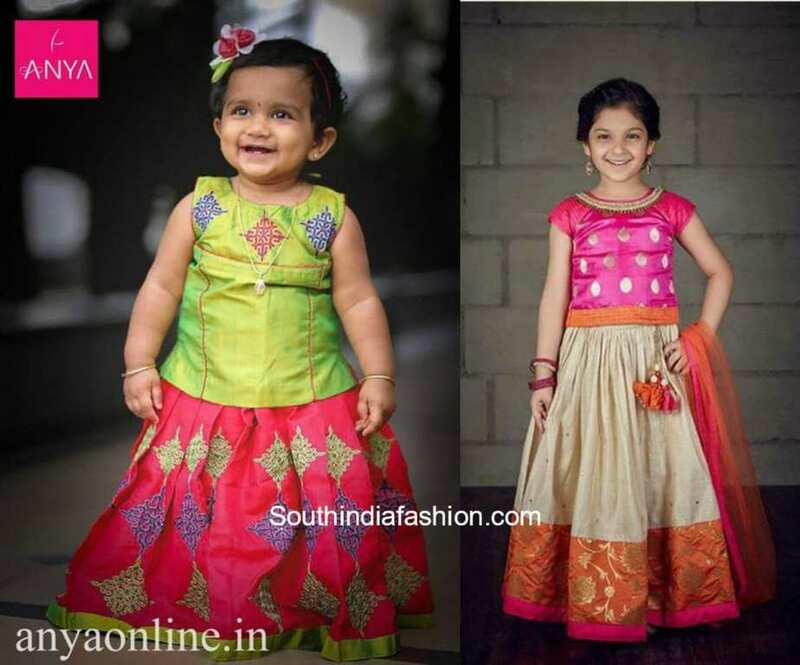 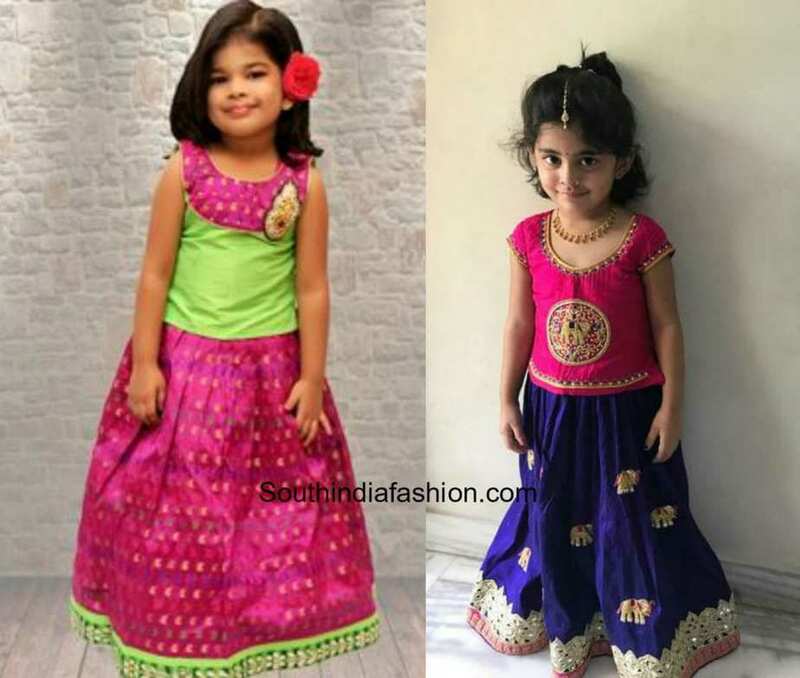 Dress up your little kids in fancy and trendy pattu pavadais to set them rock at any occasion. 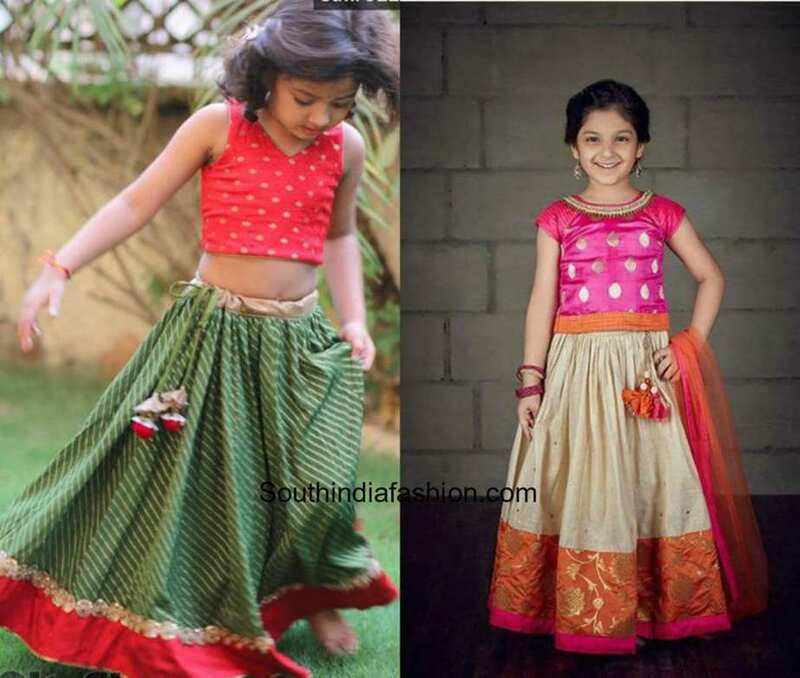 They are extremely comfortable, hassle free and will bring in cheerful smiles to their faces. Peplum tops, cape blouses, puffed sleeves, traditional embroidery, with endless options to choose from here are a few of our favorite pattu pavadai styles for this festive season.